Do you require assistance to completely master your school subjects? Call The Tutoring Center, Parsippany NJ at (973) 884-3100 to learn how their academic programs can benefit you. The whole point of studying is learning more, not getting confused. However, the latter can happen if you have a mess in your notebooks. For example, if you use one notebook to write the notes for all of your classes (with no division whatsoever), you may spend more time looking for the right notes during your study sessions than you do actually studying. That's why, if you want to have a smoother and more efficient studying process, you should have a notebook for each of your subjects. It can happen to anyone: you're ready to get out of the classroom to start the break, and you completely forget that you left your notebook on the bottom shelf of your desk. Even though this is not a rare situation, it's not a particularly fun one, either, as losing your notebook means losing your main study material. That's why, to increase the chances of getting that notebook back, you should put your name, subject, and grade on its cover. Do this for all of your notebooks to prevent a mishap. 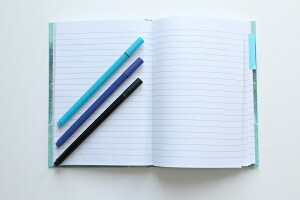 If you want to take an extra step and make your notebooks a little bit more organized, you should add a date and title for each of the lessons you take note of. This will also help you have an easier time finding the right notes for when you have to study, which can save you a lot of time and effort; this, in turn, may lead to more successful and beneficial study sessions. What good is it to have a pretty notebook with titles and all, if everything that's written in it is basically undecipherable? Having an organized notebook also means keeping organized notes in them. To that end, you should try to make your notes as clear and concise as you can. For example, make an effort to write down complete, coherent ideas in legible penmanship. The more you pay attention to this, the more successful your study sessions will be. If you want to have successful learning experiences, enroll in one-to-one tutoring in Parsippany NJ. Call The Tutoring Center, Parsippany NJ at (973) 884-3100 to schedule a free consultation. Mistakes are a part of life, so it's inevitable that there will be a few blunders in your notebook. However, having too many of them can actually pull your attention away from your notes when you should be studying. For that reason, you should strive to keep your notebooks as clean and mistake-free as possible. While doodling can be messy, too, some students feel it aids their focus when in class. If you're one of them, avoid drawing along with your notes as, once again, they can distract you. Instead, doodle in the back pages of the notebook, or in a separate sheet of paper. Even if you have a folder for all of the loose papers your teacher hands over to you (for example, the syllabus, a graded test, the instructions for a project, etc. ), it's likely that you simply stick them into your notebook. This is troubling for two reasons: one, you may end up losing said papers; and two, your notebook will become a mess. That's why you should try to avoid keeping loose papers in your notebooks; use your folders instead. Moreover, you should avoid ripping the pages off your notebooks as well, so they can be complete and organized. Books have indexes (whether at the beginning or at the end) to let readers know where they can find certain chapters or information. Well, you can do the same thing for your notebooks! Number each page in them, and create an index at the back where you note which lesson is on which page. This will keep your notebooks extra organized and effective. Call The Tutoring Center, Parsippany NJ at (973) 884-3100 if you're ready to reach your academic potential with the help of one-to-one tutoring in Parsippany NJ.